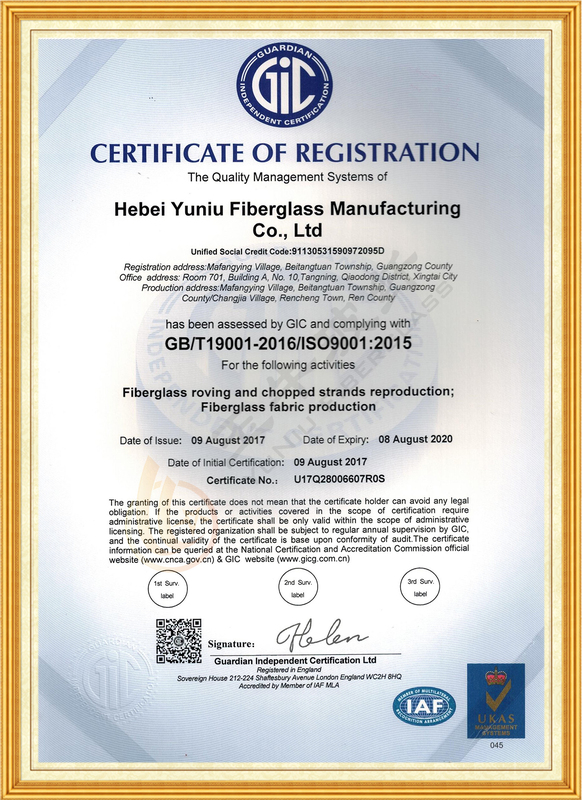 Hebei Yuniu Fiberglass Manufacturing Co.,Ltd,established in 2012, is a professional fiberglass manufacturer in north China, which located at Guangzong County,Xingtai City, Hebei Province.China. 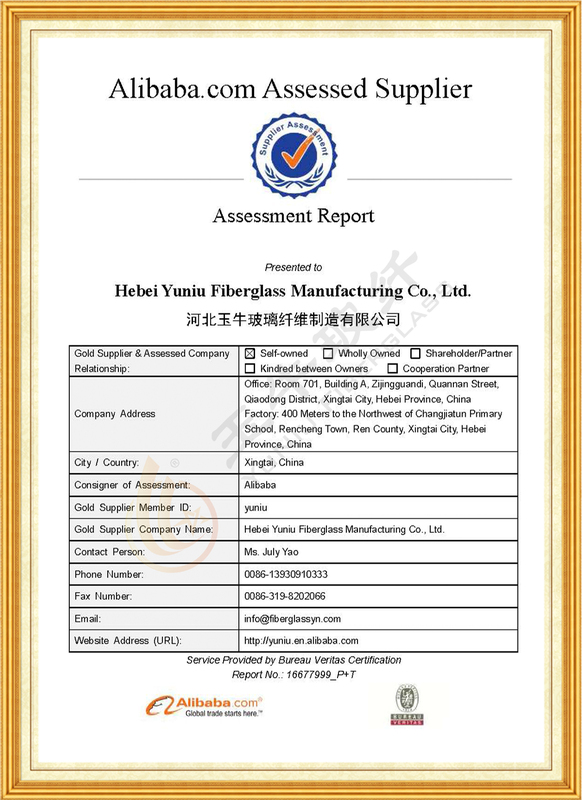 As a professional fiberglass enterprise,mainly manufactures and distributes a wide range of E type fiberglass products, such as fiberglass roving,fiberglass chopped strands, fiberglass chopped strand mat,fiberglass woven roving, needled mat, fiberglass fabric and so on.These are widely used in construction industry, automotive industry, airplane and ship building area, chemistry and chemical industry, electrical and electronics, sports and leisure,the emerging field of environmental protection like wind energy, combination of varies of pipes and thermal insulation material.The E-glass products are compatible with the various resins,such as EP/UP/VE/PA and so on. Our well equipped infrastructure is crucial in the growth and expansion of our business operations. The sophisticated and modern facilities help us to develop Fiber-Glass Products effectively. Our infrastructure is spread over a large area and is segregated into manufacturing unit, quality division and warehousing unit. 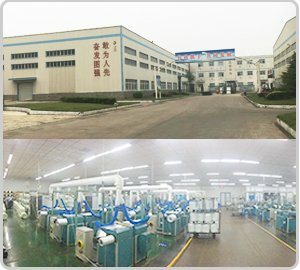 Our company has our special professional after-sale service department, products have enjoyed a high prestige in domestic and popular in international market too. 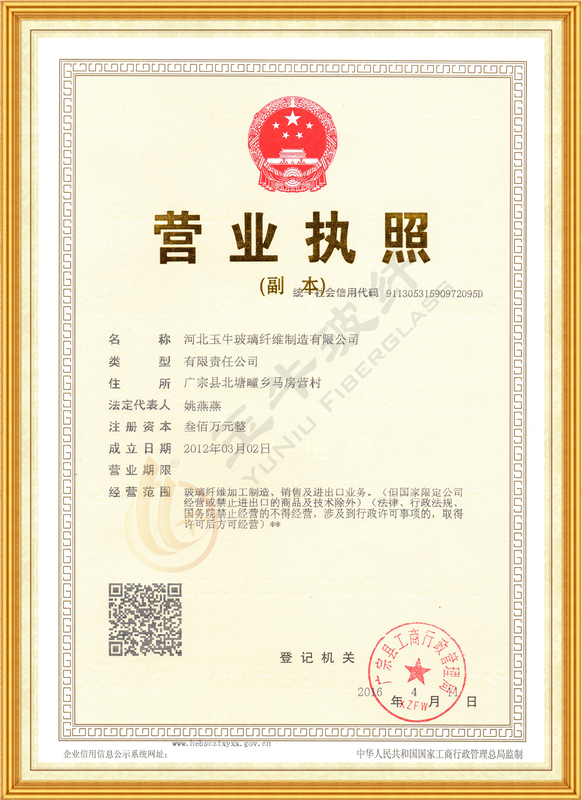 Our mission is to serve the global composite materials purchases, to make people’s life more safe, more environmental. 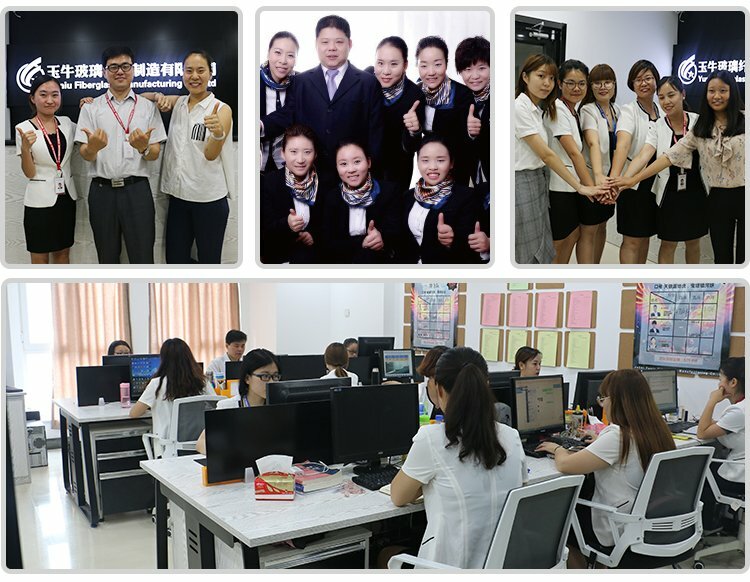 Welcome business cooperation by our high quality products and sincere service,to win the beautiful tomorrow together! 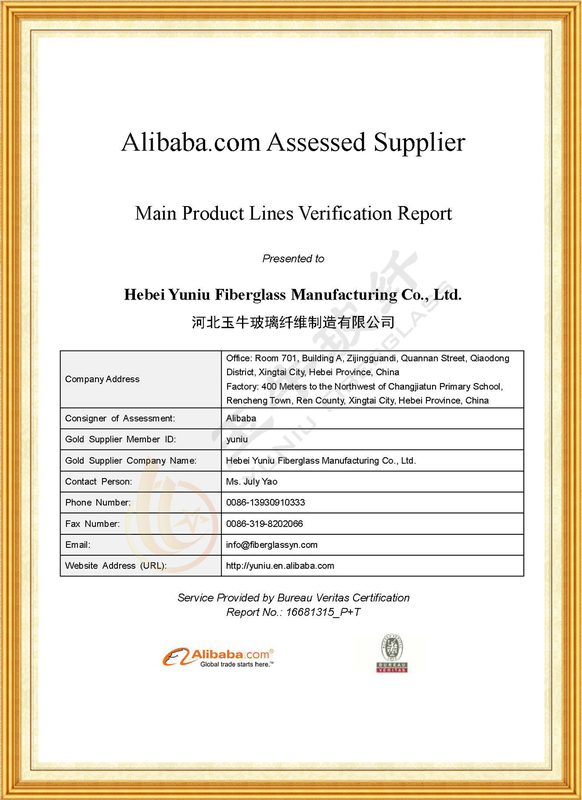 We make sure that Fiber-Glass Products render high quality standards. Our quality controllers regularly monitor entire stage of production process to ensure the perfect quality of our products. We adhere to latest technology and quality control procedure, which ensures quality standards and specifications. 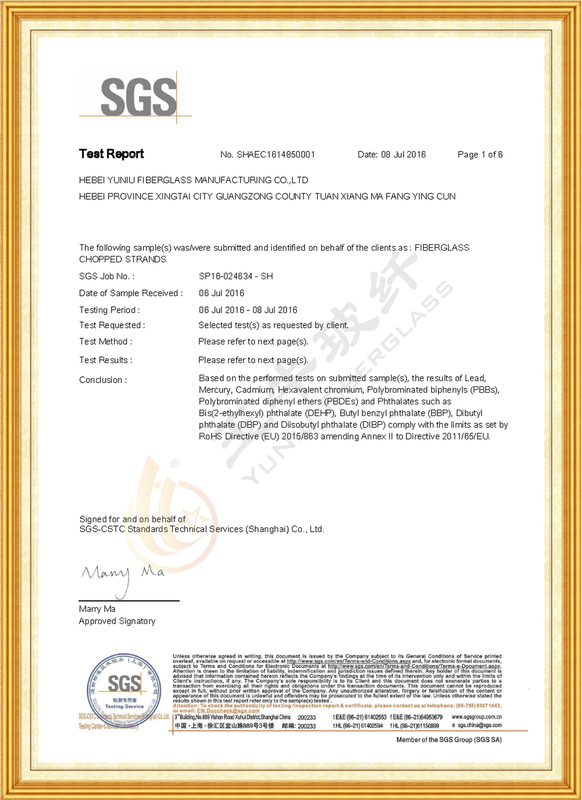 The company is able to offer first class quality and main products with full trace-ability by BV,SGS and ISO9001. Therefore, you could rest assure our perfect quality and service. Since established in 2012, with the perfect sales team at home and abroad.Our products have been sold to eighty-six countries.We now have market share in Europe,North and South America, Australia, Africa, the Middle East and South-East Asia. Give us a chance, and we will return you with satisfaction.We sincerely look forward to working with you hand in hand.